Today I welcome back to the show, for the third time, author Lorelie Rozzano. 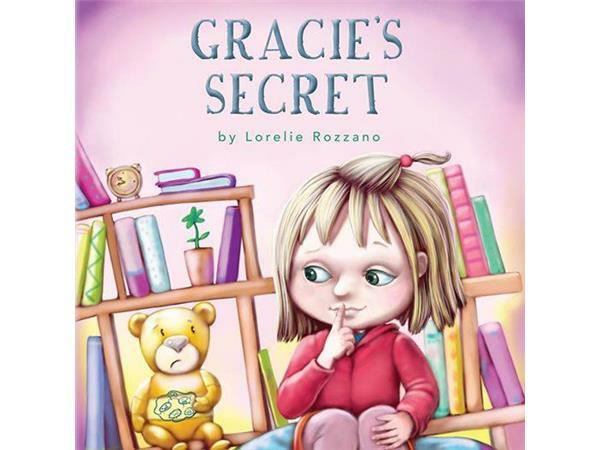 Lorelie is back to discuss and celebrate her third book called, Gracie's Secret. "Gracie's Secret is the perfect book for a child with a difficult home life. Divorce, addiction, mental health issues and more can cause children to feel alone, anxious and afraid. Gracie's Secret addresses this by showing kids they aren't alone, and that they can feel better. With a workbook section for kids to understand their own issues and a message that talking to a safe person will help, Gracie's story can help kids cope."